ISLAMABAD: Pakistan is likely to miss its revenue target for FY-13 by a massive margin of Rs435 billion, according to estimates by experts. That should not come as a surprise as the budget deficit stands at nearly Rs1,900 billion for the outgoing financial year - the highest ever absolute figure for a term. It was not just the shortfall in revenue that pushed the deficit overboard � expenditures overruns and increased debt servicing also contributed to the dismal scenario. This means that the incoming PML (N) government - set to assume power on June 5 � will be sailing into a full blown crisis. At the moment the budget deficit is in the range of 7.6 percent of Gross Domestic Product (GDP) to 8.2 percent of GDP (in the range of Rs1,740 billion to Rs1,877 billion) by June 30, 2013. The finance ministry has started accepting that it will hike up to 7.6 percent of GDP by June 30, 2013 against the initially envisaged target of 4.7 percent- but experts now believe that it will cross 8 percent of GDP in the outgoing financial year. Traditionally, the FBR�s revenue grew with the pace of nominal growth (real GDP growth plus inflation). That�s in the range of 10 to 15 percent during the last 10 years. But this year the revenue collection went up by just 5 percent, much less than nominal growth of 11.4 percent of GDP at factor cost. 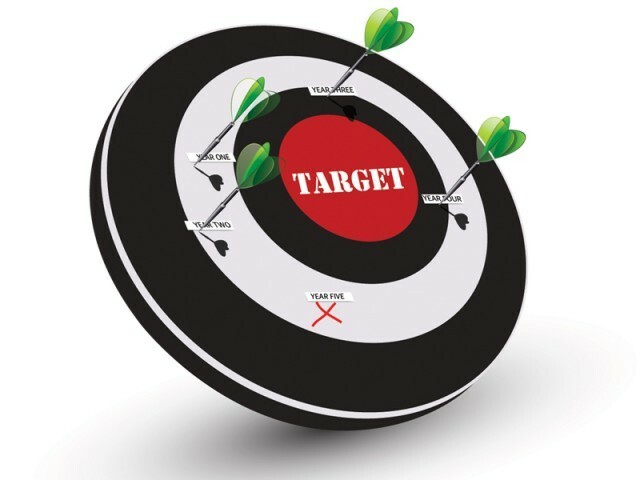 The FBR�s tax collection target has now been revised by thrice to the tune of Rs. 2018 billion against initially envisaged target of Rs2381 billion for financial year 2012-13. First the target was revised from Rs2381 billion to Rs2193 billion then again it was slashed to Rs2050 billion and now Rs. 2018 billion. �The FBR�s three time revised tax collection target is unlikely to be achieved and it will be standing at around Rs. 1980 billion to Rs2000 billion by June 30, 2013,� said independent tax experts. A top FBR official told the News on Monday that the FBR had collected Rs1624 billion till May 26, 2013 - and now that it now will have to collect around Rs394 billion in four days to make the revised tax target of Rs2018 billion on June 30. The finance ministry, according to official estimates, also projected a shortfall of Rs72 billion in achieving the non tax revenue target for the outgoing fiscal year. This is inspite of the fact that the non-tax revenue got boost after getting more amount from USA in shape of Coalition Support Fund (CSF) during the current fiscal year. The government had budgeted Rs764 billion as non-tax revenues in fiscal year 2012-13 but its projection was revised downward to Rs. 692 billion in the aftermath of government�s failure to auction license of Third Generation (3G) technology that caused a loss of Rs. 75 billion. Finances of $1.5 billion were also budgeted in shape of reimbursement of CSF from USA. But Islamabad managed to obtain $1.8 billion that reaped extra benefits to the tune of $300 million. The non tax revenue - on the other hand - witnessed a dip on account of profit of State Bank of Pakistan as interest rates decreased that resulted into decline in profits of the central bank. On expenditure side, the bulk of overruns in spending was caused by increased power sector subsidies. The Finance Ministry had projected these to be Rs. 365 billion but a figure of Rs. 445 billion appears more likely by end June 2013. The debt servicing on domestic and external loans is also expected to push up to Rs. 1039 billion in accordance with the revised estimates of the outgoing fiscal year against the envisaged target of Rs. 926 billion. Due to the drying up of external funding, the government had to rely upon financing from domestic avenues. Most of these was generated through short-term Treasury bills of three months and roll over cost increased manifold.